Hello beautiful souls! I hope you had a great Christmas with your families and your days were filled with good food, great company, and a whole lot of laughs. We celebrated our Christmas by going out to my family's ranch. We had a wonderful time and I am so happy that we were all able to celebrate together. It is also my dad's birthday on Christmas day so we celebrated with a delicious dinner at one of my favorite Chinese restaurants. Overall we had a fabulous long weekend and I am still recovering from all of the sweet treats and yummy food. I hope that you all had an amazing holiday and I am sending you so much joy and love wherever you are. 2017 has been one for the books and I am definitely glad to put it behind us. This year was filled with excitement, sadness, but most of all times that I am extremely grateful for. 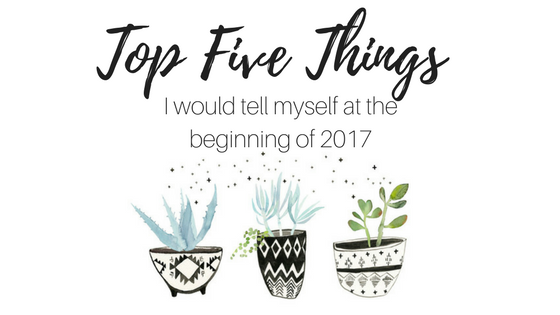 I decided to list out the top five things that I wish I would have been able to tell myself at the beginning of 2017. This blog post is going to be a little long however everything is truly coming from my heart and I always want to be my authentic self with each and every one of you. 1. 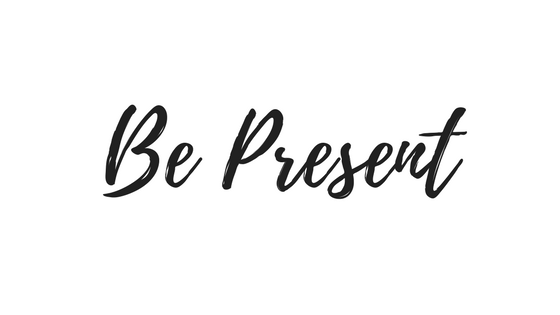 Being present is a huge factor that I think everyone has on their "to do list" however when it comes down to it, we usually put it on the back burner to then get something else crossed off the list. We are constantly in a day and age where we have something glued to our hand constantly. Technology is fantastic in many different ways but we do have to be mindful of others and truly stay in the moment. This past year I felt as though I always had this in the back of mind, but at times, I did not always follow this mantra. Moving forward I am putting this as one of my 2018 resolutions for the year. 2. 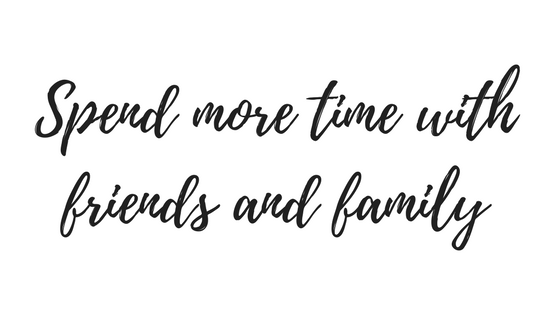 This year I wish I would have been able to motivate myself to spend more quality time with my friends and family. In September, we lost my aunt as well as a few furry friends. We should remind ourselves that we don't have forever with those that we love. This is something that really slapped me in the face this year. Unfortunately, we lost my aunt unexpectedly which really made me open my eyes to cherish those special moments. Family has always been something incredibly important to me but after the month of September, I really made it a point to spend more time with my loved ones. The holidays are always such a great time to spend the days with the ones we love. I am so fortunate to have had the time during Thanksgiving and Christmas to be able to celebrate another year, even though all the family wasn't able to make it this year. 3. Becoming more proactive about many different areas of my life was a huge focus for me in 2017. I wish I was able to really focus on this throughout the entire year so that I would have been in a different place throughout the different months, however, all the more reason to focus on this in the future. 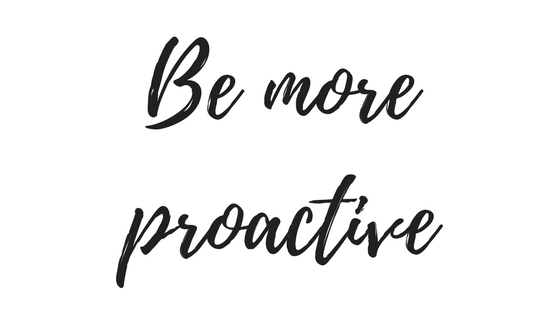 I would have liked to be more proactive with finances, health, time management, and people. All of these topics come up in our day to day lives and if we can be more aware of them it really will help us in the long run. I am definitely going to make it a point this year to really focus on all of these topics to be in a different place in the months to come. 4. 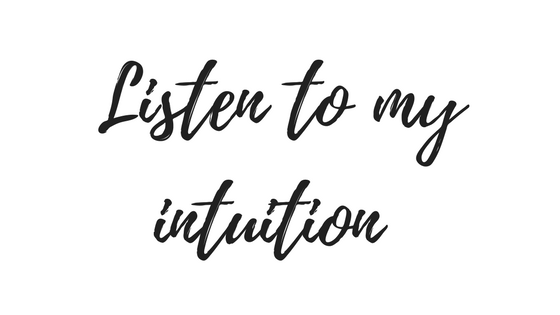 Listening to my intuition and really focusing in on what the universe has to share with me was a huge eye opener this year. I feel as though I had the right tools all along, I just needed to utilize them. I believe that we have the ability to "ask the universe, believe in the universe, and you will receive." This mindset has truly allowed me to gain huge gifts, even just recently, and I feel as if I would have been utilizing these beliefs all along, I would have had a very different 2017. Since I just recently started making my spirituality a huge priority in the second half of the year, I really am excited to see how deep and focused my life could be. 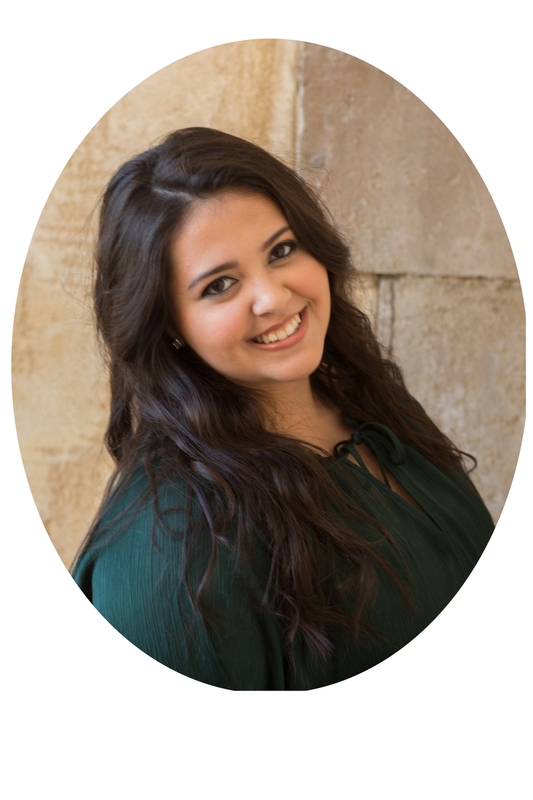 I have always been a spiritual, and have studied Kabbalah for the past 10 years. I have recently started incorporating my spirituality self-routines into my schedule over the past few months, and I can't wait to see how that will manifest itself when I focus on my spirituality and self-love. 5. This was a huge focus that I wish I would have made more of a concentration on. I wish I would have not kept saying "Tomorrow" or "On Monday I will start." I feel many of us make excuses, however I want to reverse the trend this year and have a steady workout and nutrition plan. At the beginning of January and February, I did a few sets of the "Whole 30" and that was an experience to say the least! If you haven't heard of the "Whole 30" it is no sugar, no flour/gluten, legumes, dairy, soy, or processed foods for 30 days. The diet was effective however I felt as though it was not a way to live life. I felt like I became obsessed with ingredients and the grocery shopping took me hours a week to get what we needed for the upcoming menu. I believe that everything is fine in moderation. This past year my habits were not in moderation and I really want to continue to stay on this moderation path. Overall even though I wish that I was able to have told myself all of these different tips at the beginning of the year I also am grateful for the very happy times I had throughout the year. Here were some of my favorite things that happened. 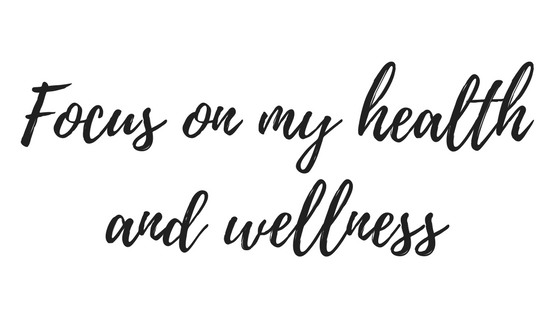 I am definitely ready for 2018 and it has already brought some very exciting things my way including the launch of my blog and a new self-love routine. I am looking forward to this year and all the amazing gifts that I know the universe will bring.